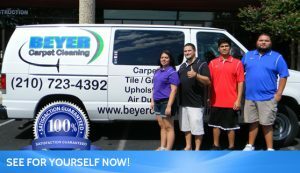 There are so many carpet cleaners in San Antonio to choose from but what separates Beyer Carpet Cleaning from the pack? Is it their prices? Their customer service? The quality of cleaning the provide? Well, according to their 5 star reviews across the internet the answer to all these questions is YES! Beyer Carpet Cleaning stands out because they list their affordable prices on their website so you know how reasonable they are. Their prices are lower by half or more then the leading competitors. All year long they offer low prices that can fit anyones budget. Wether your moving out and need to have the carpet cleaned to honor your lease agreement or just because your carpets need a good clean Beyer is your go to carpet cleaner. Carpet cleaning can get pricey but Beyer Carpet Cleaning always works in favor of the customer. Their customer service is unbeatable! When a customer calls in they are greeted by friendly voice each and every time. They work later then most carpet cleaners so it is easier to schedule an appointment around your schedule. They are open Monday thru Saturday from 7am to 10pm so customers can always get a hold of someone. If their are any issues the owner is readily available to listen and figure out the situation. When their technicians arrive to the customer’s home they are polite and friendly. 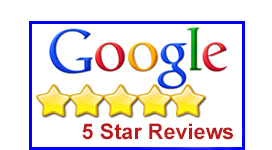 They offer advice and have the knowledge to get work on any kind of carpet issue. Beyer Carpet Cleaning consistently provides quality cleanings. Your carpets will look so fresh and clean when they are done. Your upholstery will look like new and your tile and grout will be restored to its original state. Their customers are always left impressed and amazed. So if you want to be the best you have to beat the rest with competitive prices, great customer service, and quality work worth paying for.